Did you know there are hundreds of salivary glands in your mouth and throat that make as much as a quart of saliva each day? That’s important because saliva lubricates your mouth, helps you swallow, protects your teeth against bacteria, and aids in the digestion of food. Salivary stones – These are buildups of crystallized saliva deposits that can block the flow of saliva, causing pain and swelling and, eventually, an infection. Viral infections – Brought on by the flu, mumps, or other viruses, these can cause swelling of the salivary glands on both sides of the face. Other viral illnesses, such as Epstein-Barr virus (EBV) m cytomegalovirus (CMV), Coxsackievirus, or human immunodeficiency virus (HIV) can cause swelling. Cysts – These may develop in your salivary glands when an injury, infection, tumor, or salivary stone blocks the flow of saliva. Sjogren’s syndrome – This is a chronic autoimmune disease in which your immune system attacks the salivary and tear glands leading to dry mouth, dry eyes, and difficulty swallowing. Depending on the cause, there are various therapies for salivary gland problems. For example, salivary stones can be treated with warm compresses or sour candies to increase saliva flow. If that doesn’t work, surgery may be necessary to remove the blockage or the affected gland. Surgery may be required for large cysts and tumors, while some benign and cancerous tumors can be treated with radiation and chemotherapy. Other salivary gland problems may be treated with antibiotics for bacterial infections and prescribed medication for dry mouth. 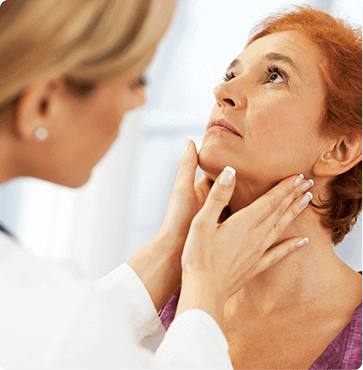 Whatever salivary gland problem you may have, the skilled physicians at Austin ENT Clinic can diagnose and treat it. To learn more, request an appointment online or call our office at 1-800-876-EARS (3277) to arrange a consultation to discuss your options.